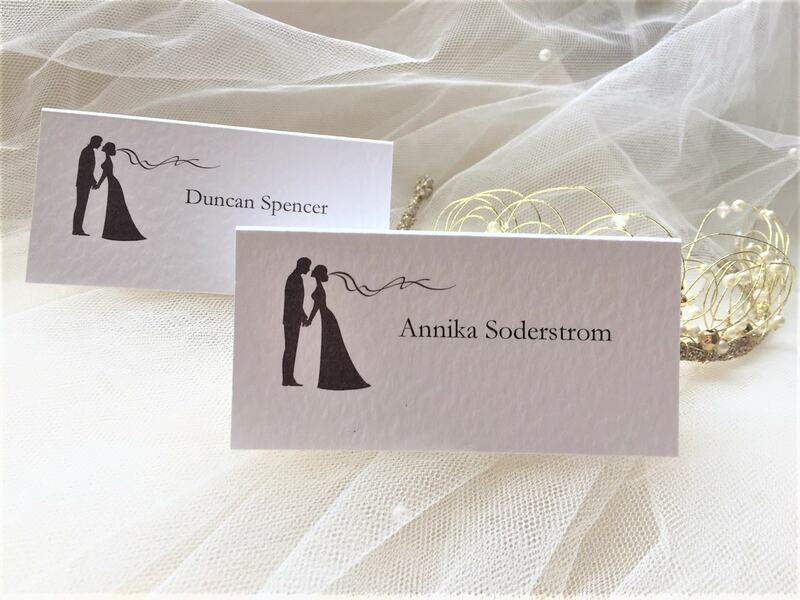 Finally Place Cards. A striking modern design available on a choice of card, printed in a font style of your choice. 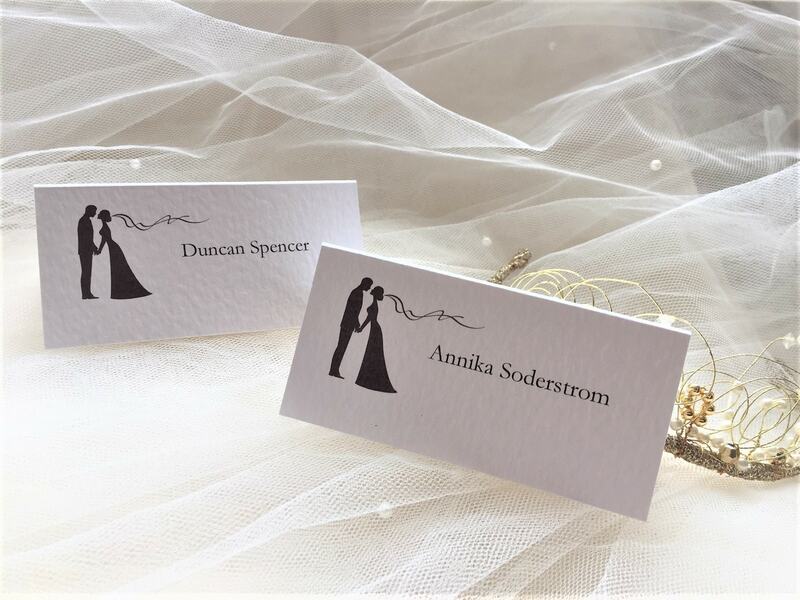 Wedding Invitations, RSVP Cards, Order of Service, Menus, Guest Information Cards and Table Plan Cards are available in this design. 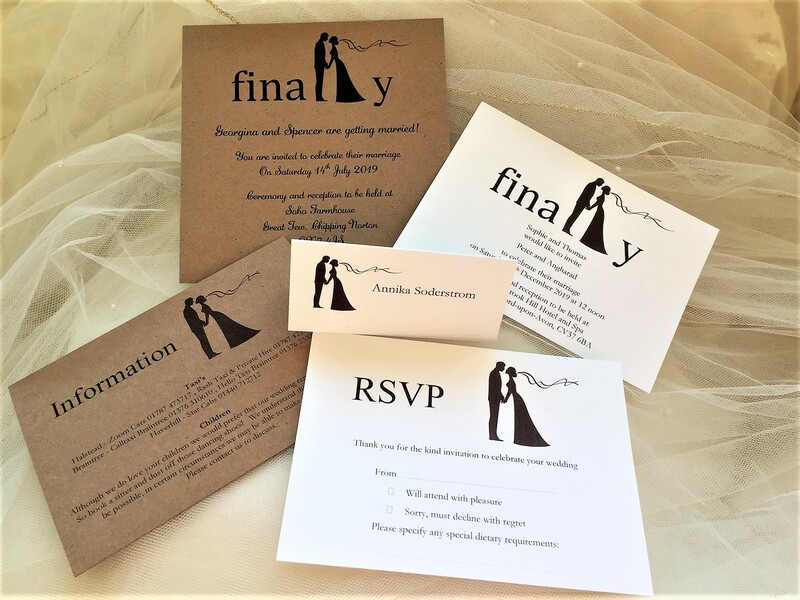 Finally Wedding Stationery. 55p each with menu selections printed on the reverse (please email to request the spreadsheet for completion). 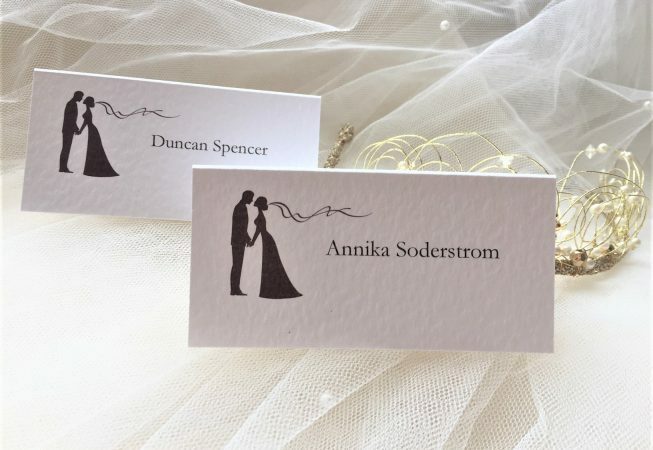 Guests names printed in a typeface of your choice. Size is 10cm x 10cm before folding in half.